Yes, I’m still talking about beautiful animals. How can’t I, after being in such an amazing place where nature is at its best? or graciously walking, looking down very serious, apparently worried about something, but in reality he’s just focused on catching his next meal. 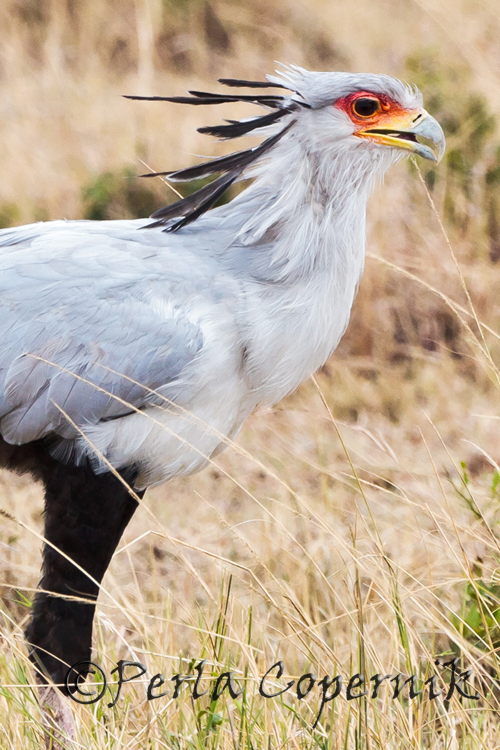 Known as the African ‘marching eagle’, the secretarybird is such an oddity that is placed in its own family, Sagittariidae, and some even go to the extreme of giving it its own order “Sagittariiformes” (Ferguson-Lees, Raptors of the World), but most classifications put this bird as part of the order Accipitriformes that, of course, makes him a close cousin of the eagles and hawks among other birds of prey. What makes this bird so different is that it is the only African raptor that hunts on foot, pursuing large insects, snakes and small rodents across the African savanna. 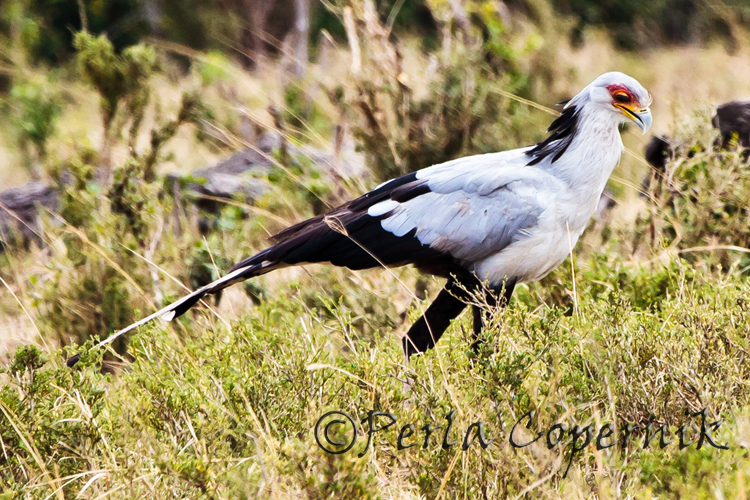 Secretarybirds are endemic to the Sub-Saharan Africa and although nomadic, following food sources, they are non-migratory. 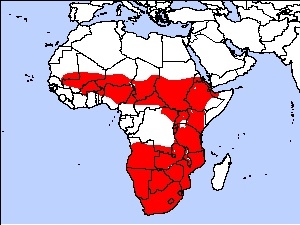 Their range extends from Senegal to Somalia and South to the Cape of Good Hope. A large and distinctive bird of prey, the secretarybird is said to take its unusual name from the strange and distinguishing arrangement of feathers on the back of its neck. 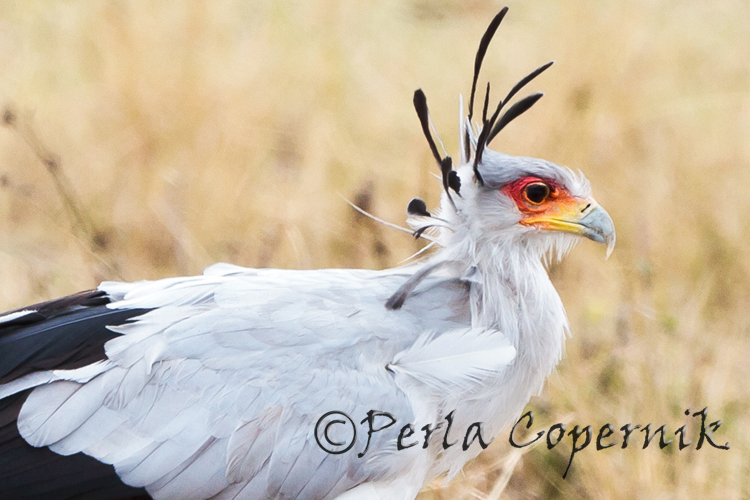 This long, raised crest of black, spatula-shaped feathers gives the secretarybird the appearance of an old-fashioned secretary carrying quill-pens tucked behind the ears. A more recent hypothesis to the origin of the name “secretary” is that is borrowed from a French corruption of the Arabic saqr-et-tair or “hunter-bird”. I have to say that the first explanation makes more sense to me since independently of how they hunt; all birds of prey are “hunter birds” after all. 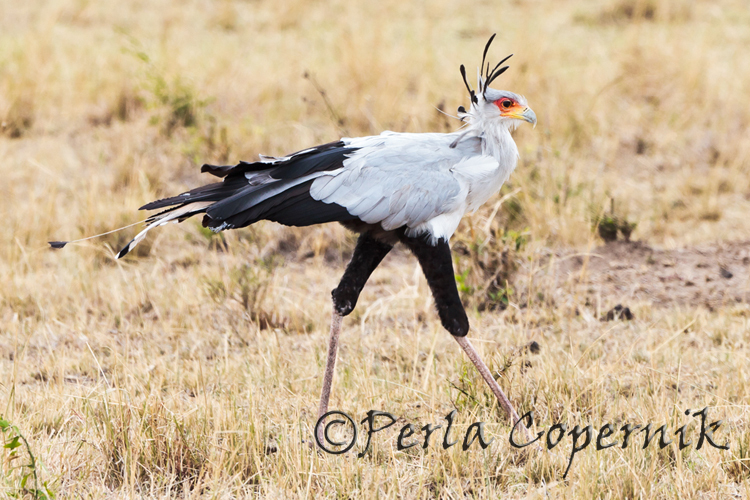 Watching the secretarybird hunt is not only fascinating to the ornithologist but it is a delight to any photographer. The trick is, of course, to be able to get a good sharp shot of this animal that hardly ever stops when in search of prey. 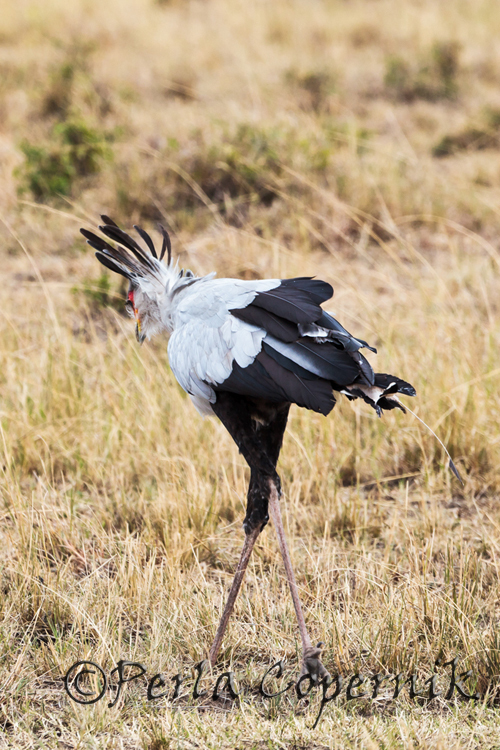 Food is often discovered by the secretarybirds via stomping on clumps of vegetation flushing out the prey from their hiding places. This very smart bird also waits near fires, eating anything that is trying to escape. They can either catch prey by chasing it and striking with the bill and swallowing (usually with small prey), or stepping on it until it is stunned or unconscious enough to swallow. Africa’s ‘marching eagle’ spends most of the time on the ground, walking steadily with head jerking back and forward, at 100-120 paces per minute, averaging up to 3 km/h (1.8 mi/h), it may travel 20-30 km (12-19 mi) in a day. In general it prefers walking to running, and running to flying, but do not underestimate this bird because the secretarybird can fly very well often soaring like a stork, with neck and legs extended. It even has a spectacular aerial display, especially during mating season. 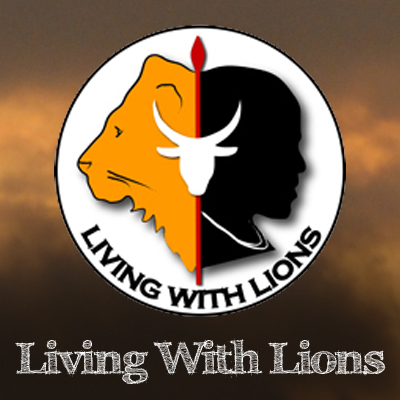 I went to Africa with a bird “wishlist” that included eagles, storks, bustards and hornbills. I had to see hornbills above all, and I certainly wanted to see the famous Kori Bustard, the heaviest flying bird in the world. 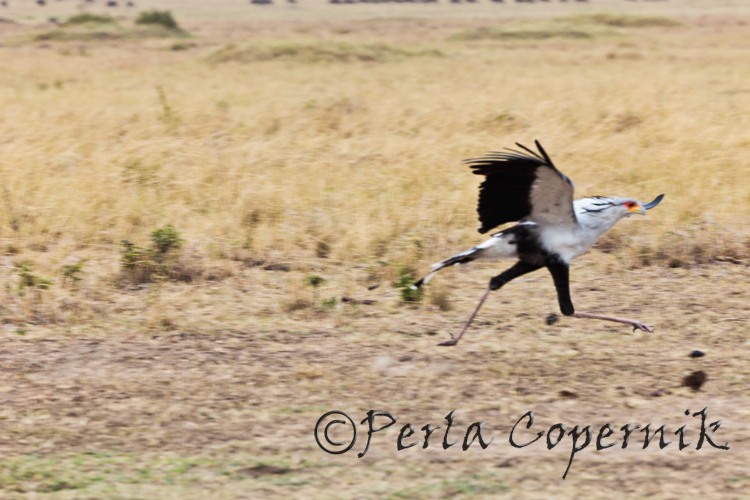 I had a photographic feast with the Southern Ground Hornbill and although I saw several white-bellied bustards did not see the Kori Bustard but have to say that spending photographic quality time with the secretarybird was one of the highlights and unexpected surprises of my trip to the Masai Mara.